NRDC's Kelly Cox interview City Sol's Chris Neidl about innovative ways to get people to pay attention to alternative energy. China Power: How To Bring Clean Energy to 1.25 Billion People? NRDC's Daniel Hinerfeld interviews Barbara Finamore, director of NRDC's China Clean Energy Program about the situation in China and its implications:"China's staggering economic growth is an environmental time bomb that, unless defused, threatens to convulse the entire planet regardless of progress in all other nations." 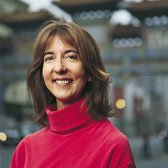 Sheryl Eisenberg is producing This Green Life, a monthly column for NRDC. 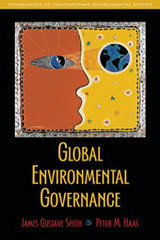 Gus Speth talks with NRDC's Phil Gutis about Global Environment Governance. Eben Burnham-Snyder talks about their Florida road trip to promote hybrid and flexible fuel technology.